Strong performance from V6, excellent ride and handling balance, roomy cabin, comfortable seats, high crash test scores, solid fit and finish. Safety features are antilock disc brakes, stability/traction control, front-seat side airbags and side curtain airbags are standard on all trims. The potent 252-horsepower 3.6-liter V-6 remains an option, providing a lot of kick and refinement for more demanding drivers. It's better suited for full loads or mountain passes, but it doesn't feel overtly sporty and fuel economy is unimpressive. The four-cylinder, however, remains the most popular option, developing a healthy 169 horsepower while returning a fuel economy of 22 mpg in the city and 33 mpg on the highway, and it's quick enough for most uses. In either model, the driving experience isn't exciting, but the Malibu is smooth and refined as it goes about its business. Just as the exterior is attractive, so is the cabin, which is very well designed and features materials with a quality feel to them. The front seats are among the most comfortable in the mid-size sedan class, while the back offers more legroom than most rivals. 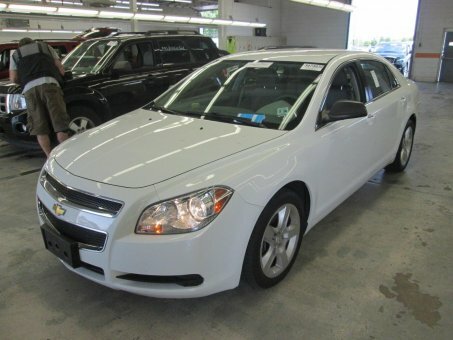 Safety is another of the 2011 Chevrolet Malibu's strong suits. The list of standard features include anti-lock disc brakes, stability and traction control, front side airbags, and side curtain airbags. OnStar emergency telematics is also included. Crash-test ratings have been impressive, too, and the Malibu is an IIHS Top Safety Pick.